This bride is active in animal rescue, and wanted to include her dog in her wedding day photos. The dog didn't come to the country club, so he was in quite a few at the house during bridal prep. 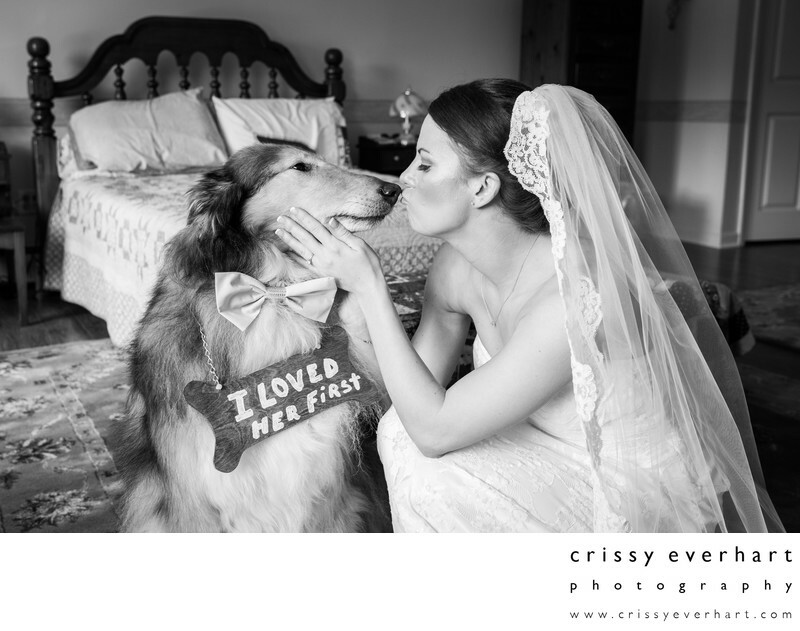 In this image, the bride kisses her Collie on the nose, and he wears a bow tie and a sign saying "I loved her first."